On our 2 day gel nail extension course you will learn how to apply a gel overlay as well as tips/extensions by practicing on each other. A week later, you will learn how to apply fills on each other. Students will learn the soak-off and infill of gel nails technique which has become the treatment that has transformed the nail industry! 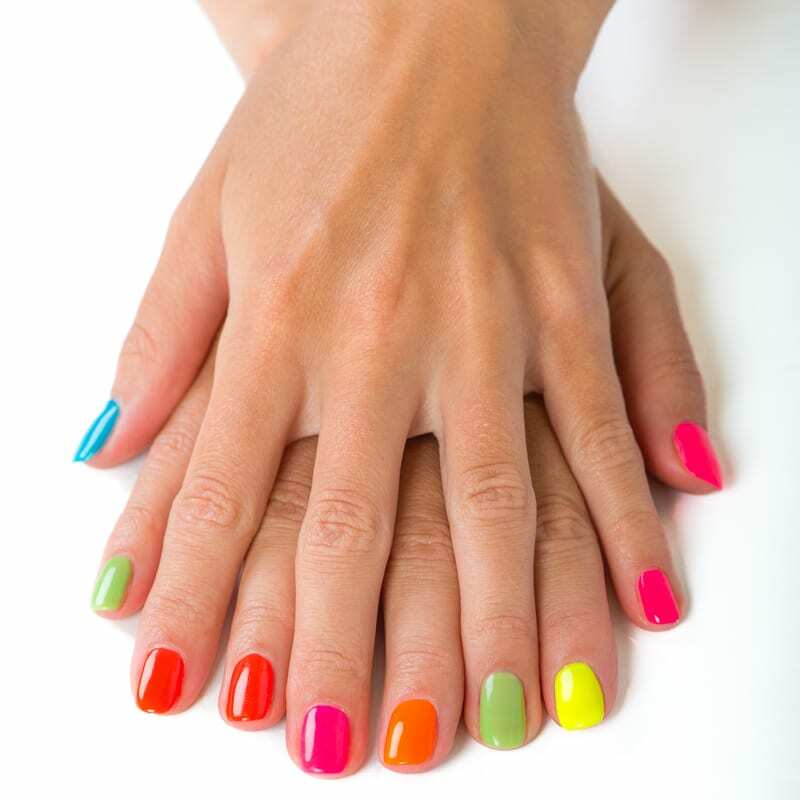 Gel nails provide the beautiful high gloss colour of a polish and the no-chip durability of a gel. An easy removal provides quick, safe colour changes. Gels are hard gels which you can create nail extensions with using a UV lamp to cure the gel to harden it. You will learn the difference between soft gels and hard gels. You will also learn of the benefits of this gel. There is no better nail treatment that is quick and effective as gel nail extensions. It’s long lasting and durable. They are simply artificial nails (extensions) with the added benefit of having gel nail polish / varnish on them. Gel nails are very similar to acrylic nails. There are UV gel nail extensions, which are hardened under an unlar-violet light, and there are also no-light gel nail extensions, which can be brushed or sprayed on. Gel nail extensions are also much more healthier for your natural nails. Well, it is all in the course, which is just 3 days and you will receive the very best training by one of our trainers. Call us today on 01642 880034 if you are interested in the course. Are kits included in the gel nail extension course?